Please pray for both of my children Nicholas and Krystal they are going through a rough time and is in desperate need for god help and guidance to make the right decisions and choices. 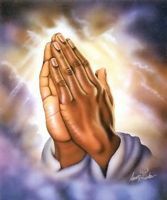 Please pray for them th live an honest life anf be truthful in whatever they do and find the jobs they are looking for. Also pray they find spouses to settle down with and live a happy and healthy life. Please please help them!